This isn’t the first time Spider-Man has taken animated form. There has been a shed load of Spider-Man cartoons, and some of them have been rather good. 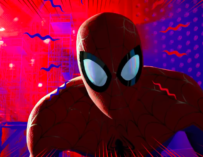 Yet, Spider-Man: Into The Spiderverse might be not only one of the best Spider-Man animated offerings but also one of the best Spider-Man films ever made. This isn’t your usual Spider-Man tale. First off, Peter Parker isn’t the main Spider-Man in this movie. He is in it (there are two of him to be precise). 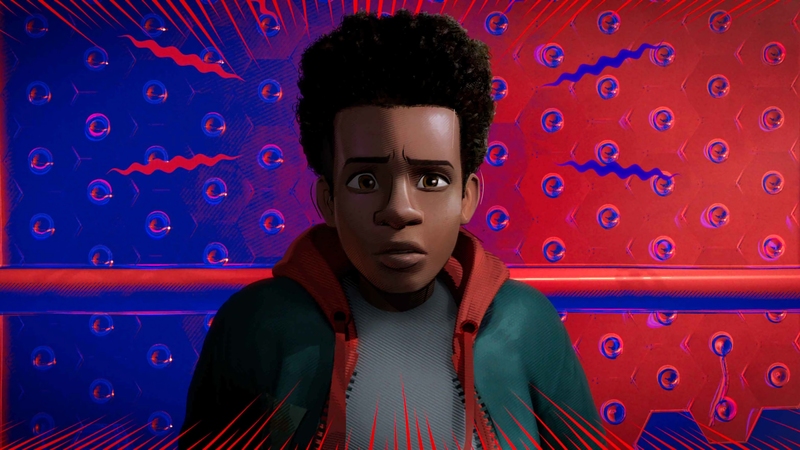 This picture is all about how Miles Morales, a Puerto Rican and Afro-American teenager from Brooklyn, became Spider-Man, and it’s a pretty torrid origins story. I know, you’re probably thinking, “not another superhero origins movies!’ Yet, this is one to take notice of and does something really unique with the (over) tried and (over) tested formula. Yes, Miles gets bitten by a radioactive spider. 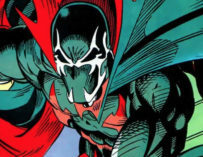 Yes, he has to fight the same old Spider-Man villains such as The Kingpin, The Green Goblin and Prowler, yet there are some pretty nifty additions to Miles’ rogues’ gallery. There’s something strange going on in Boston, and it turns out it has something to do with a portal to another dimension, which causes a bunch of Spider-Men (and women) from other dimensions to end up in Miles’, and together they have to try and stop Kingpin from destroying all reality. 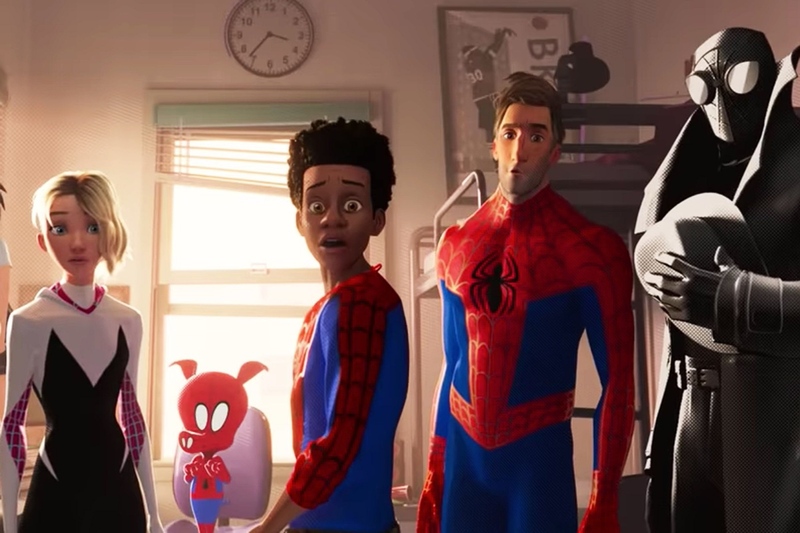 One of the first things you’ll notice about Into The Spiderverse is how good it looks. The animation is genuinely stunning and unique. It really looks like a comic book come to life. It makes you realise how perfect the medium of animation is for superhero movies. Naturally, you can do things in animation that you can’t do in live action. 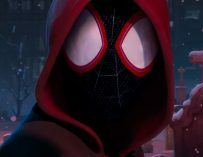 Spider-Man Into The Spiderverse Review: Too many Spidermen? There have been examples of animated comic book movies that have successfully played around with their animation style. Batman Ninja comes to mind. Yet, whereas some of those films fell short of being considered truly remarkable, Into The Spiderverse succeeds. 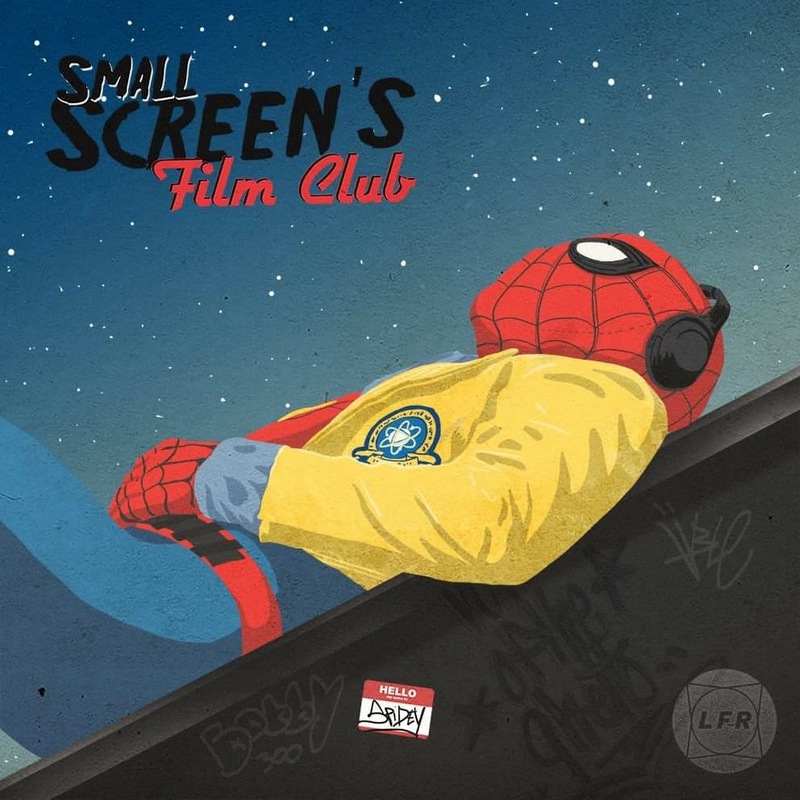 Moreover, when I first heard that they were making this film, I thought, ‘This sounds great, but will they manage to balance all those Spider-men being on screen at once?’ The short answer is yes. Despite there being more Spider-Men ever seen on screen together at once before, this film never stops being about Miles. He’s the main protagonist, and his is the story we care about. The other Spider-Men, apart from Spider-Gwen (who they refer to as Spider-Woman in the film, and Peter B. Parker’s Spider-Man), the others are merely fun side characters. In a genius bit of casting Nicolas Cage is the voice Spider-Man Noire, and I wouldn’t mind seeing that version again in the future. Speaking of the voice acting, there are some stellar performances here from the likes of Shameik Moore, Hailee Steinfeld, Mahershala Ali and Jake Johnson. The only slightly negative point about Into The Spiderverse is it does end up being your usual superhero movie brawl in the third act, yet it’s certainly the most beautiful one I’ve ever seen, filled with colour and spectacle. It does make you wonder whether we should just give up with all these live-action superhero movies and stick to animation. It also feels in the right place on the big screen. Animated superhero movies have a tendency of going straight to BluRay or DVD, or just being dumped on a streaming service. 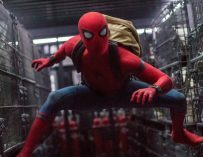 Yet, Spider-Man: Into The Spiderverse belongs on the big screen, and I wouldn’t be surprised if it ends up being one of the top-grossing movies this December. It’s fun, vibrant, charming, engrossing, thrilling, full of heart — everything you could want from a superhero movie. Dare I say it, this could be the best Spider-Man movie ever made? Well, I did earlier on, so yes, I do dare. It also adds itself to the list of the best superhero movies of 2018 and would be the second animated film on there along with Brad Bird’s brilliant follow up to The Incredibles, Incredible 2. People in Hollywood are now going to have to take a long look at the future of comic book movies after these two specular animated offerings. Could the future be in animation? Perhaps not. Yet, I would love to see Sony Animation make more Spider-Man films like this one.